What a day it’s been. It was 16C (61F) here with sunshine so I padded about the garden and chased Juno home. Then I sprawled out in the dirt. This will happen tomorrow too. I am very happy to get out and do my thing. There are even flies showing up to buzz about my head. After a day of fresh air and examining the garden, I need a place to let my fur down but still see what mom’s doing. Right here on her desk is perfect for me to make sure she is not out running around with other kitties. You never can tell with her. Actually, mom is not all that interesting when she’s on the computer. So I will say nightie nite and don’t let the bed fleas bite. What are you thankful for this Thankful Thursday? 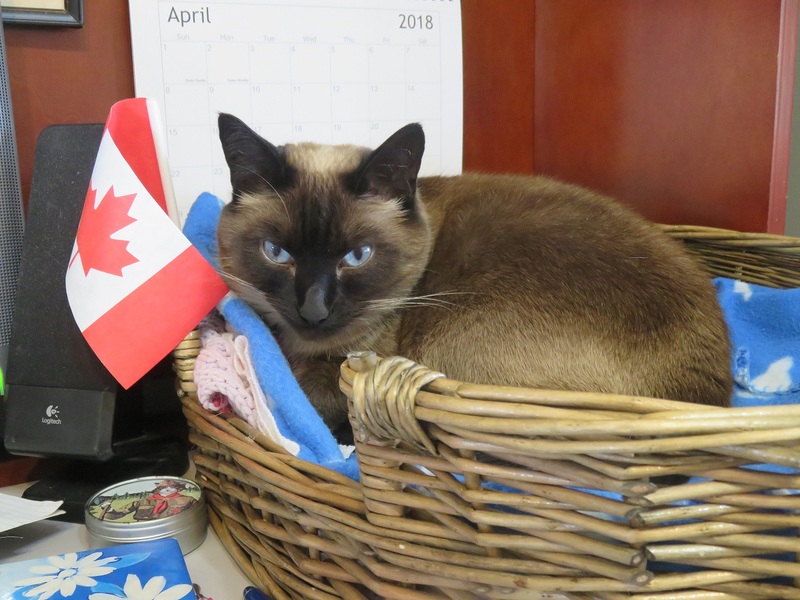 This entry was posted in Uncategorized and tagged day, join, kitties, nite, thankful on April 25, 2018 by The Canadian Cats. Hi friends, Kali here to introduce the Friendly Fill-ins and my fills for this week. Ellen of 15 and Meowing and McGuffy’s Reader are hosting this weeks Friendly Fill Ins. 1. I am most proud of …… my temperament. I like everybody, peeps and kitties. Layed back and relaxed is my style. If I get angry, hiss and run after a kitty, you know this kitty is a total jerk and needs some smacky paw. Visitors are always welcome as far as I’m concerned. 2. I am embarrassed to admit…..I am afraid of bugs. Just the idea of putting a squirmy or slimy bug in my mouth is disgusting. Ewww… However I like to watch them as long as they don’t touch the furs. 3. My super-power might be….. power sleeping. Mom says there is no other cat around that can sleep on demand like me. 4. I really wish I could……. fly. I would fly down and visit Nellie and then fly down to the States and visit Buddy…my boyfriend. This entry was posted in Uncategorized and tagged admit, boyfriend, down, furs, Kali, kitties, paw, proud, sleep on August 5, 2016 by The Canadian Cats. We are preparing for Shoko’s Gotcha Day on Monday the 15th. of June. Shoko is off at Cat Scots talking with her friends about the trip to Rome and talking about visiting with Bailey the Boat Cat on his boat the Nocturne. To tell you the truth, I was getting fed up listening to Einstein did this and Timmy did that. 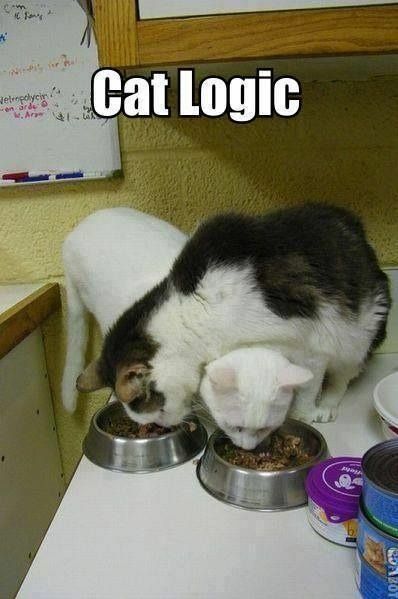 For cats sake…shut up! Sorry friends but that girl can talk. You know us meezers, we’re known for our talkin’ and yet Shoks goes that extra step. Anyway, back to the preparations….I know it seems early, but mom has all this catnip to prepare, and dry for the individual care packages, the kitties can take home. 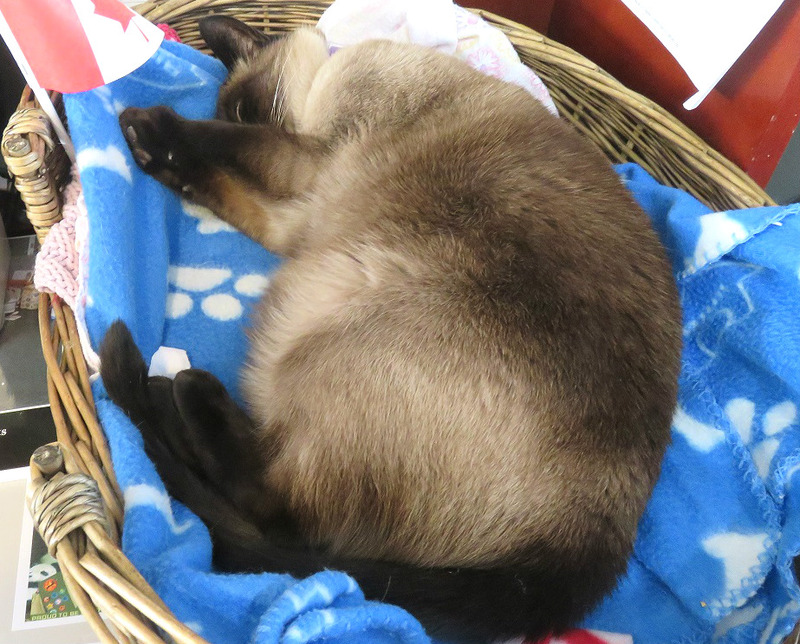 The major work will be on the weekend when Shoko goes off to Cat Scouts to celebrate Flag Day. Pretty sharp looking Scout! Mom has picked lots of nip so it will be fresh nip in the recipes. I inspected every bit of it for bugs and dirt. We need room for our friends to play. Some of our friends are huge and need the room to just spread out. Lots of room to dig and dance. Dad is mowing the grass. and clipping the trim around the garden. *yawn*….everybody’s busy so I can lay down for a couple of minutes. This entry was posted in Uncategorized and tagged bugs, dirt, Einstein, Flag Day, friends room, Kali, kitties, minutes, Nocturne, Rome, Scout, Timmy. meezers on June 9, 2015 by The Canadian Cats.